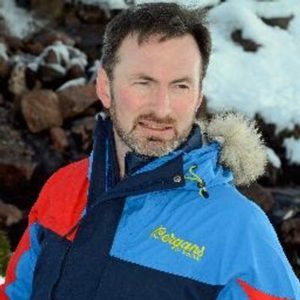 Craig Mathieson is a polar explorer who is ‘Explorer-in-Residence’ with the Royal Scottish Geographical Society. Born in Johnstone, Renfrewshire and raised in Buchlyvie, Stirlingshire, Mathieson was educated at Balfron High School. He began his working life overseas in the military, before moving into HM Customs & Excise as an inspector and anti-fraud officer. He spent seven years with Ernst & Young, before joining Johnston Carmichael in 2007. In January 2014, Craig Mathieson joined accountancy firm French Duncan to head a new VAT department. In 2001 Mathieson participated in an expedition to the summit of unclimbed peaks in Greenland, naming one Mount Mathieson. He successfully led the first dedicated Scottish Expedition to the South Pole in 2004, man-hauling his sledge 730 miles over the Antarctic Continent, and two years later led an expedition to the Geographical North Pole, taking a 16-year-old boy as part of his team. He was appointed special advisor to HM Forces regarding Polar training and guiding in 2012. In 2013 he was appointed ‘Explorer-in-Residence’ by Royal Scottish Geographical Society.